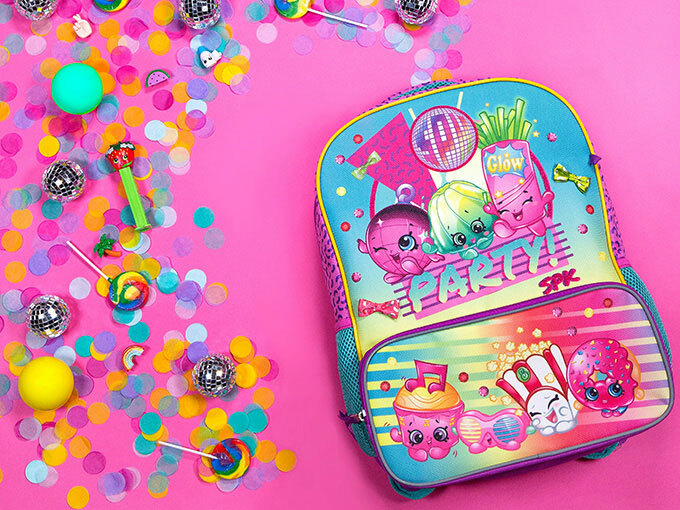 As original brands like Shopkins, Hatchimals and Fingerlings continue to launch major licensing programs and inspire popular online content, an industry-wide survey reveals how this toy biz has spawned a new type of showbiz. Superhero figurines, branded race cars and dress-up dolls have long been mighty stalwarts of the toy industry, but one should never underestimate the strength of a Hatchimals shell. Completely original playthings like Spin Master’s 2016 breakout hit are filling shelves—and parents’ shopping carts—as interest in movie-driven items continues to wane. With BMO Capital Markets recently dropping its growth estimate for the US toy industry in the wake of an underperforming market for film-focused consumer products, it seems that original toys are the new blockbusters, launching comprehensive licensing programs that can hold their own against those of once-upon-a-time Hollywood heavy-hitters. There’s proof in the slow-rise foam pudding. Within a week of their August 2017 US debut, WowWee’s Fingerlings monkeys had sold 100,000 units, while Spin Master’s revenue increased by 22% to US$475 million in Q3 2016, following the launch of its Hatchimals products. 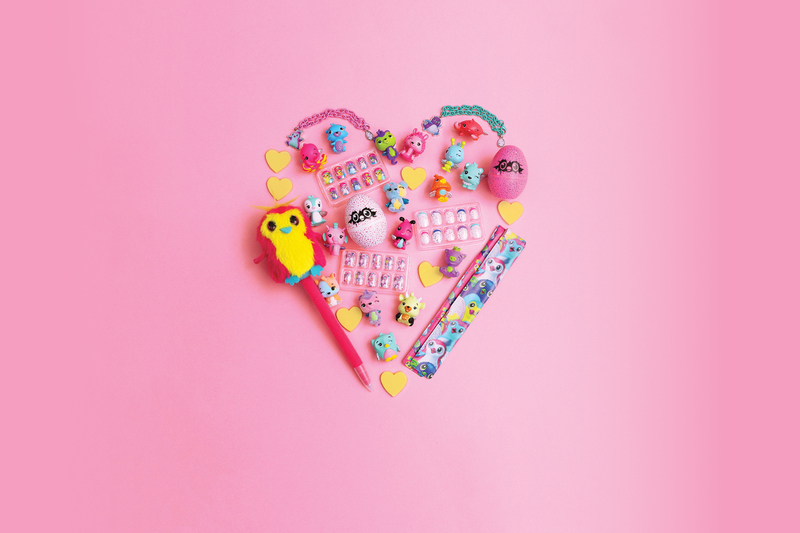 And in its first year on shelves after launching in 2014, Moose Toys’ Shopkins saw 660% growth. Slow-rise foam toys like Soft’n Slo Squishies, meanwhile, are showing just how quickly a trend can take over the social media stratosphere. Original properties like these are giving the industry an idea of just how much power (and creativity) can come from a single concept, so what’s the secret to their newfound success? 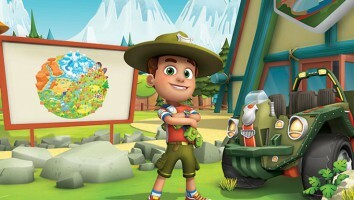 Spin Master wanted to be measured in its approach to building out a licensing program to avoid the brand fatigue or drop in quality often associated with a licensing blitz. Because Hatchimals is an original toy brand (and not built on an underlying mythology), the company decided the foundation of its licensing efforts would be storytelling. Anticipating this need for narrative, the company inked an agreement with Penguin Random House in advance of the toy launch. Spin Master has since incorporated the brand’s mythology into subsequent Hatchimals products, up to and including the packaging. The Hatchimals Colleggtibles line, for example, features a map of Hatchtopia on the back of the collectors’ sheet. “You’re not just collecting another toy—you’re entering a whole new world,” Frostad says. Spin Master also introduced webisodic content to further expand the Hatchimals world. Produced by Toronto’s Smiley Guy Studios, the first 14 animated episodes launched on YouTube last year, with another 22 slated for fall 2018 and 22 more arriving in spring 2019. 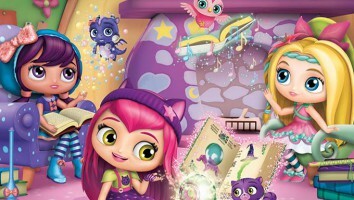 Canadian toyco WowWee has proven it has the magic touch with its Fingerlings toy line. Since the brand’s animatronic monkeys first hit shelves in 2017, WowWee has expanded into additional animals (unicorns, sloths and raptors), collectibles, a feature plush line and an upcoming short-form animated series. WowWee’s licensing strategy is also devoted to ensuring that nothing that carries the Fingerlings name will compete with the toys themselves. As such, the company has inked agreements for a number of complementary categories including crafts (Addo), apparel (Bioworld), board games (Cardinal) and stationery (Sambro). For WowWee, that plays into its emphasis on sticking to schedule. The company signed deals for longer lead-time categories as it built out its licensing program, ensuring that products would be ready for spring, summer and back-to-school windows. 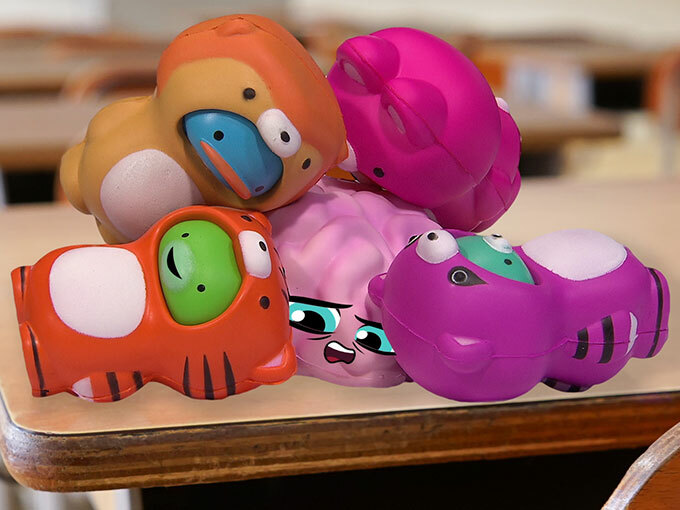 “They’ve already resolved the line through next year, and are concentrating on 2020,” Binder says, referencing WowWee’s plans for upcoming animals in the Fingerlings lineup. Slow and steady is not the way Nelvana plans to win the race. As the global licensing and merchandising arm for Canada’s Corus Entertainment, Nelvana Enterprises has partnered with Canadian toyco ORB to expand its Soft’n Slo Squishies collectibles line into a global franchise. By focusing on the line’s digital following, Nelvana says it is rapidly expanding the brand. New digital shorts will roll out over the coming months as Nelvana continues to engage with Squishies fans in the lead-up to the consumer products launch, which will start with apparel, sleepwear, accessories, novelty and gift, home décor and publishing. The focus on lifestyle was another takeaway from Nelvana’s research into the brand’s fan base. “Through the social engagement side of things, we knew that it would very much be a lifestyle-focused consumer products program,” Masterson says. A number of licensing partners are signing on to the program, with Nelvana now looking forward to additional categories including stationery and digital games. Masterson says upcoming products—both in the collectibles line and in subsequent categories—will be informed by the fans. The secret to the small toys’ big success, she says, boils down to alignment. Moose Toys focused on finding licensing partners that could provide products that are in alignment not only with what fans were asking for, but also with the timing of the collectibles line.